Madison Boutilier is a multi-disciplinary designer interested in taking architectural thinking into multiple facets of design. She received her Bachelors of Architecture from the University of Southern California. 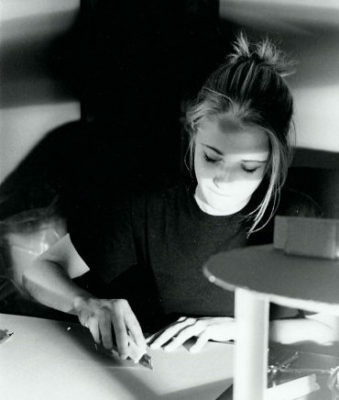 While in school, she worked independently in both production design and graphic design. She provided the production design for a variety of music videos, creating work for Island Def Jam, Sony, and Universal music. She also has freelanced as a graphic designer, completing projects for NPR, among others. She currently works as an Art Director for The Refinery Creative, an entertainment advertising company. Her campaigns have been featured on Netflix, Freeform, and ArcEntertainment.